Designed and developed extra for your manufacturing corporation’s needs and purposes, SCHALI® health care programmes are aimed at reducing risk of occupational diseases among your corporation’s employees. SCHALI® health care programmes may be successfully used at workplace and in corporation’s medical centres, outpatient care, health resorts and health care institutions etc. We’ll develop the most optimal health care solution for your manufacturing corporation that will allow your corporation to introduce newest health care and prevention programmes, improve labour conditions, and reduce disease rate and sick leaves among your corporation’s employees. Unique SCHALI® developments on protection against electromagnetic emission are embodied into newest health care and prevention programmes for transportation corporations’ clients and employees. We offer most innovative health care and prevention programmes aimed at inducing and maintaining immune response, better stress control and psychoemotional condition among your corporation’s clients and employees. Programmes may be used in transport hub medical centres, your corporation’s outpatient care, health resorts and health care institutions etc. Highly-effective SCHALI® products will help your clients and employees in relieving jet lag symptoms, motion sickness, travel fears etc. 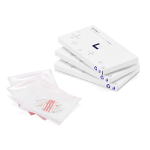 Designed and developed extra for use in transport, SCHALI® single use personal care products are intended for a long-lasting antimicrobial protection and may be used in travel first aid kits. Designed and developed extra for your hotel chain, SCHALI® photoactive complimentary skin care, oral care and health care products, TLD SCHALI® portable interactive multifunctional laser devices of a new generation will allow your hotel chain to create a new in-the-room health care service for your guests – it means not only better quality and new level of service, it means your hotel chain’s new innovative competitive feature. Besides, newest SCHALI® antiaging techniques that synergistically combine photoeffects of TLD SCHALI® portable interactive multifunctional laser devices and SCHALI® health care products, make professional quality health care services available in your hotel’s rooms and may be implemented in your hotel’s beauty salons, spa, health care centres (skin care, dental care, otolaryngology, orthopedics etc.) as well. Universal health care programmes and highly-effective SCHALI® products are indicated to militarians, rescue and emergency servicemen, explorers, who operate in extreme environment and disaster conditions and who face physical and emotional stress every day. We’ll develop individual health care programmes for your servicemen, aiming at faster psychoemotional and physical recreation, better stamina reserves and vital powers regeneration. 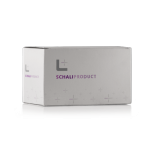 Unique SCHALI® psycho-analysis and correction developments and trainings are intended for better concentration and emotional control, pain sensation control – a key to quick high quality professional aid in extreme conditions. Highly-effective SCHALI® health care products are the best choice for stabilisation of health condition and prevention of complications in injured humans. SCHALI® unique non-medicamentous and non-invasive methods of treatment and highly-effective products are intended for your association’s athletes’ better stamina reserves, vital powers, psychoemotional condition, faster regeneration and recreation, resulting in better achievements and new records and lower risk of injuries. SCHALI® photoactive products are a key to best sports results of your association’s teams. Highly-effective SCHALI® products are made with regard to individual condition of each team member and provide both quick help and reliable solution for stabilisation of condition and prevention of complication in injured athletes. We offer cooperation solutions that create new hi-tech and exclusive health care service to your corporation, that may improve your corporation’s clients’ and employees’ health condition, contribute to better quality of your corporation’s service, extend your clientele and fortify your client’s trust. Following strictly our obligation of confidentiality, we’ll define problematic issues in your corporation’s labour protection and occupational safety and develop tailor-made highly-effective health care programmes for your corporation’s clients and employees focused at individual needs and occupational specificity – our health care solutions will allow your corporation to skyrocket both labour efficiency and your clients’ and employees’ loyalty. 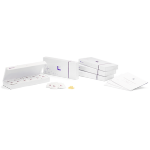 We develop tailor-made highly-effective health care programmes for your corporation’s clients and employees, we also create a new product line extra for your corporation. Your corporation may participate in design and development: ingredients, product form, package, indication, application etc. 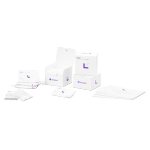 SCHALI® products may be produced under contract as of cosmetic grade or as of pharmaceutical grade in accordance with GMP rules and your corporation’s requirements. Once we developed a new health care programme for your corporation based on your corporation’s enquiry and in accordance with contract terms, we should provide our complete dossier on the product of your corporation’s choice as well as complete advice on additional studies that might be needed to register / to certify them in your corporation’s country. We offer innovative health care products of a wide range of applications intended for maintaining human energy balance and vital powers, better function of main human systems and organs. SCHALI® health care products may be used in scope of complex health care programmes extra developed for your corporation. SCHALI® Health Care Programme is a new approach to prevention and treatment of occupational diseases of numerous origins and is intended for supplementation of traditional complex therapy techniques. SCHALI® products are aimed to balance human vital powers and stamina reserves, improve physical and mental activities. SCHALI® products result in a strong synergistic effect and a shorter treatment time, if used together with pharmaceutical agents. New approach to individual needs of your corporation’s clients and employees. Newest developments in SCHALI® photoactive and laser light exposure techniques for your corporation. Support and advice on certification issues, after-sale service on SCHALI® products for your corporation.